The Germany iShares (EWG) fund has been unable to make a new closing high this month, and diverged from the S&P 500 in Friday’s session, down more than a percent lower than the U.S. index. 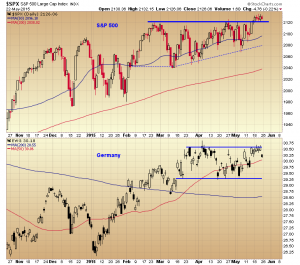 There has been a close correlation between the German and U.S. markets, a symbiotic relationship that requires the support of one for the other. 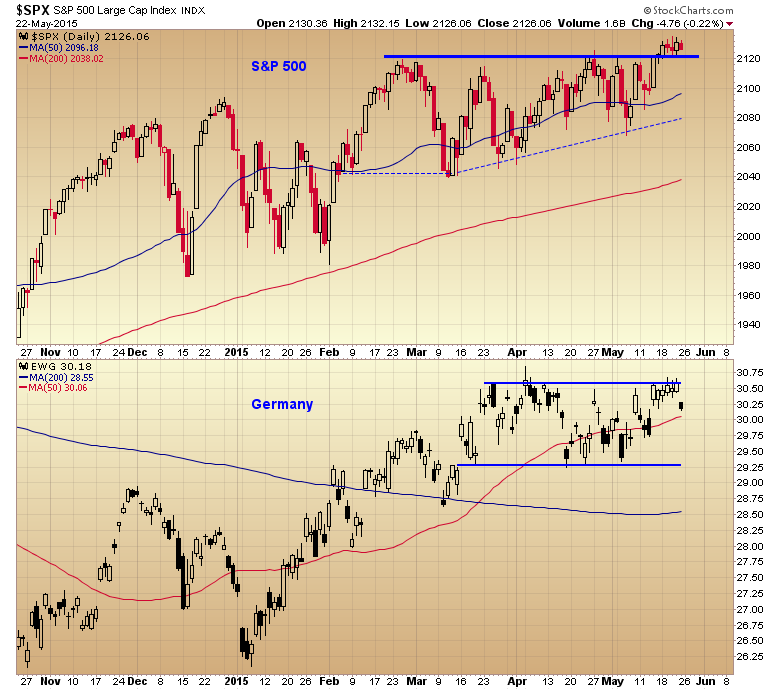 The EWG has to recover and take out and close above the $30.62 level for the S&P to maintain its momentum.